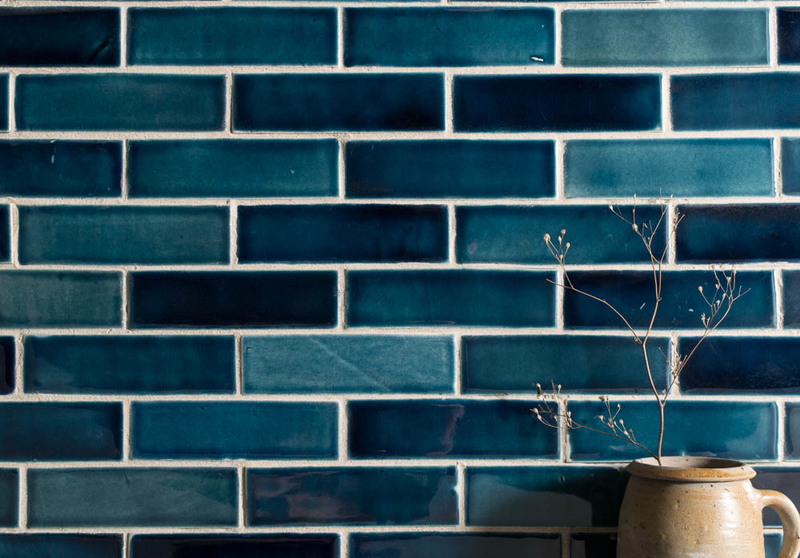 Here at Floors of Stone, we are always looking to design new and beautifully made handmade tiles to create a stunning feature for the home. When thinking about new glaze colours and searching for ideas, I start my search on Pinterest and flicking through interior magazines. 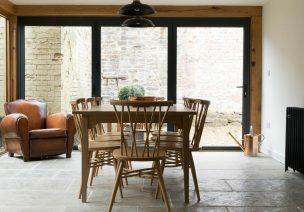 I gain so many Interior trend ideas but it’s often that my inspiration comes back to my surroundings and the beautiful place that our Floors of Stone showroom and ceramics studio is based in; Cotes Mill. 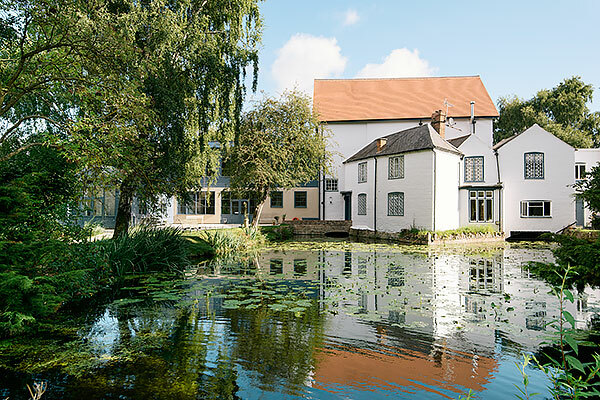 Stunning Cotes Mill based in Leicestershire. 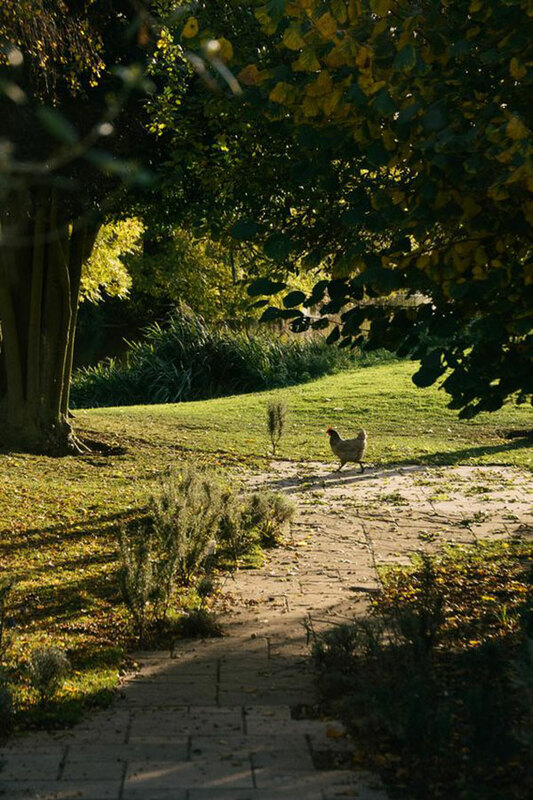 A 16th-century water mill, Cotes Mill is located right on the River Soar and is surrounded by lush wild meadows, home to a menagerie of animals, from guinea fowl, swans and doves to our family of majestic Indian Peacocks. 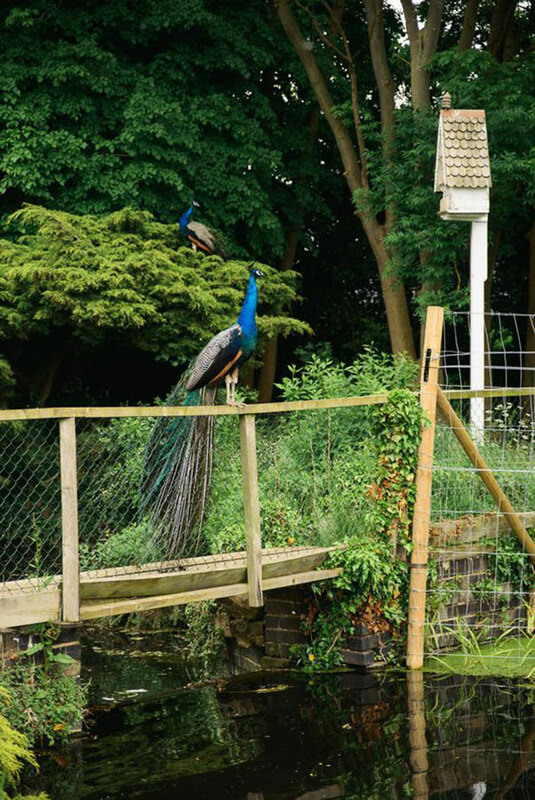 Our friendly peacocks love to potter around the grounds of the mill. 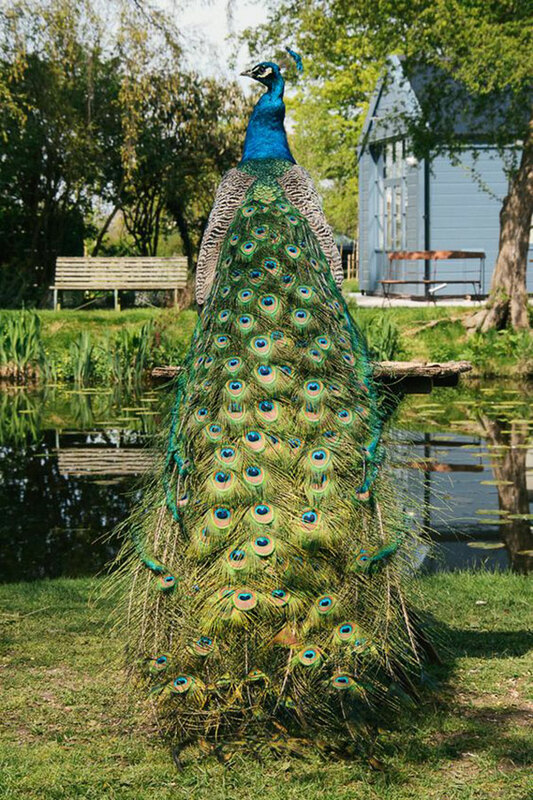 With their beautiful and luscious blue feathers, It was our friendly Indian Peacocks that captured my ideas for our new collection of glazed metro tiles. Glaze tester tiles ready to be fired in the kiln. To replicate the beautiful tones of the peacock’s feathers, I started my designing by creating lots of glaze tests to see if I could achieve that perfect blue tone. Before the glaze has been fired and it is in a powder form, the colour and finish is totally different to what will come out of the kiln. It’s what makes experimenting with glaze colours so unique and exciting as you never quite know what to expect when peeking inside a cooling kiln. Sometimes it’s a joy but often it’s a complete surprise, especially if a colour appears that you weren’t quite expecting! It took a few attempts but after tweaking the glaze recipe I finally got the perfect shade of blue. 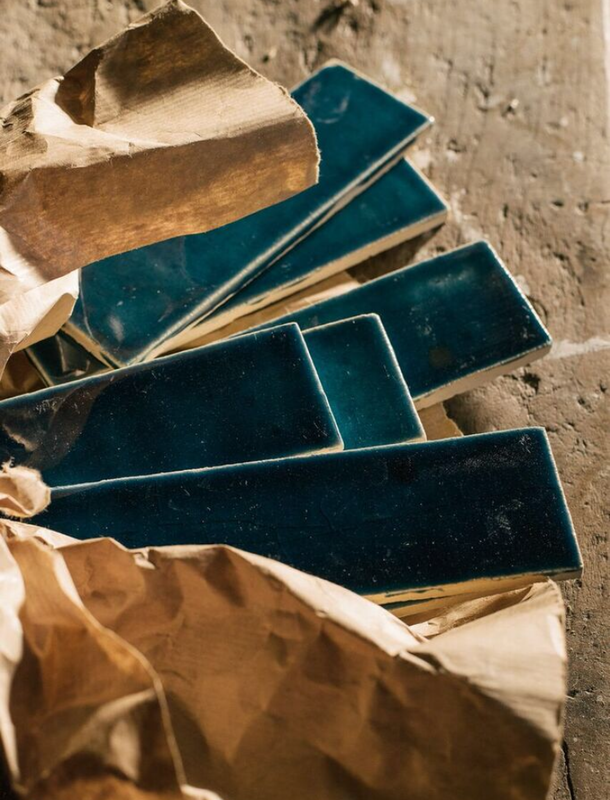 The perfect blue glaze tester tiles. Replicating the natural colours of the peacock feathers was my main aim but I also wanted a colour that had depth, interest and plenty of natural variances that makes handmade items so special. To highlight this further, I decided to create three slightly different glaze recipes, still the same blue colour but with three different tones – light, medium and dark. With the glaze colours and a fitting name approved it was time to start making a batch of our Indian Peacock Blue Tiles so that my colleague, Charlie could work his magic and take clever photographs of the tiles for the Floors of Stone website. It starts with clay, and the clay I use is called White Crank. This clay doesn’t sound very glamorous but it acts as the perfect background to apply coloured glazes. It also contains grog, which are tiny bits of pre-fired clay mixed into the clay to make it robust, meaning it’s ideal for making tiles. A slab of white crank clay ready to be cut into metro tiles. 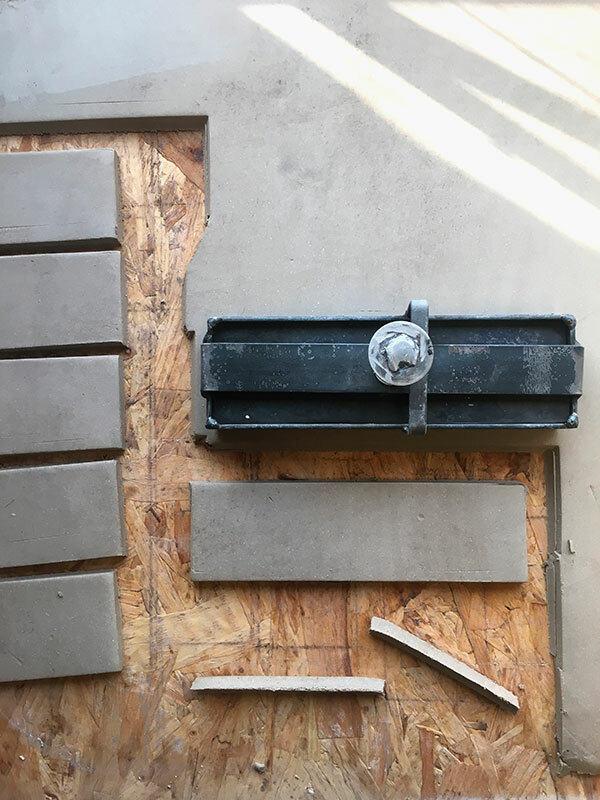 After rolling out the clay and leaving it to dry until leather hard, I then use our specially made tile cutter to cut out the tiles. The size I will be using is 200x60mm. 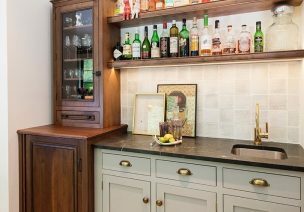 We cleverly designed this metro tile size so that it is a more balanced size for creating the very on trend herringbone pattern, brick bond and stack bond designs. With a little drying time and a firing in the kiln to turn the tiles into bisque ware, I then apply my unique recipe of blue glaze. I spray the glaze on which gives an effective even finish and then the tiles go back into the kiln for a final high firing. 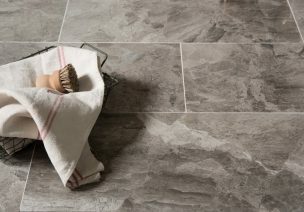 The final images for the Floors of Stone website are complete and I’m in love with the results. Beautiful images photographed by Charlie. 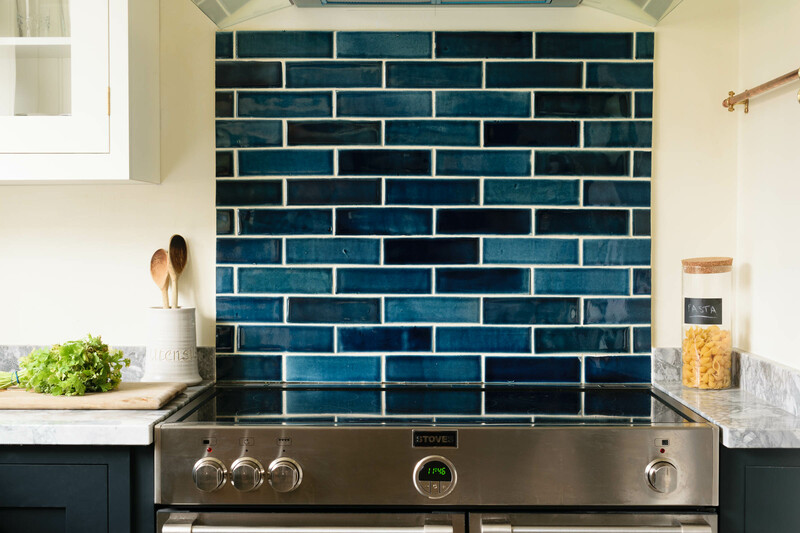 From being captivated by the beautiful surroundings of Cotes Mill to lovingly crafting the finished blue glaze and rolling, cutting, firing the tiles, our new Indian Peacock Blue Handmade tiles hold a very special story. Each blue tone is beautiful in themselves but when installed together, creates a wall full of handmade character and perfectly replicates the individual feathers of an Indian peacock. 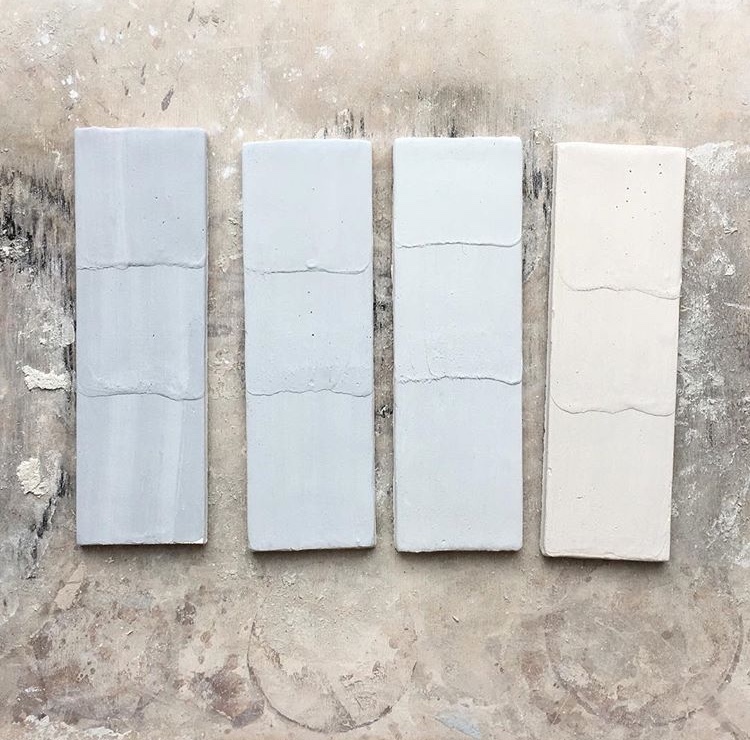 If you would like any further information about our handmade tiles or wish to order a sample, please contact me by email on hannah@floorsofstone.com. I would love to hear from you and chat through your tiling ideas.